Teachers and parents alike want to add more STEM activities to their kids’ lives. STEM activities and science experiments for kids are one of the best ways to expand a child’s thinking and approach education in a comprehensive way. 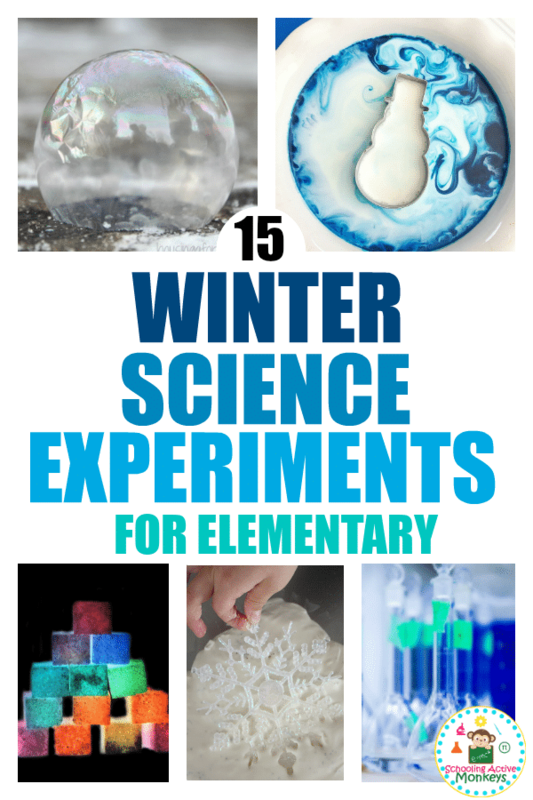 These winter science experiments for elementary are all designed with an elementary learning level in mind. 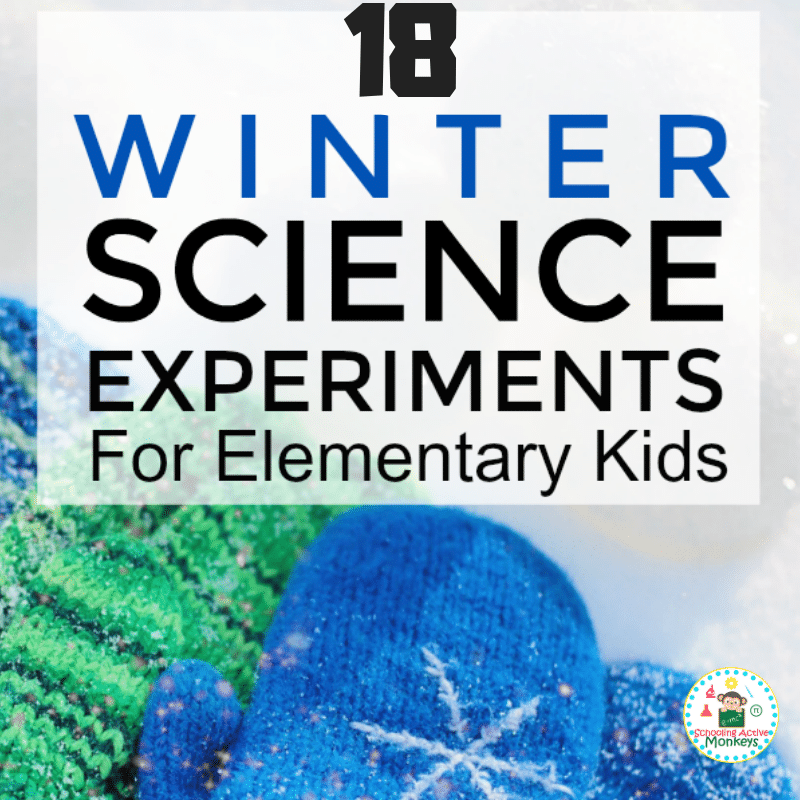 Elementary science experiments are the perfect winter science experiments to do during the winter months! 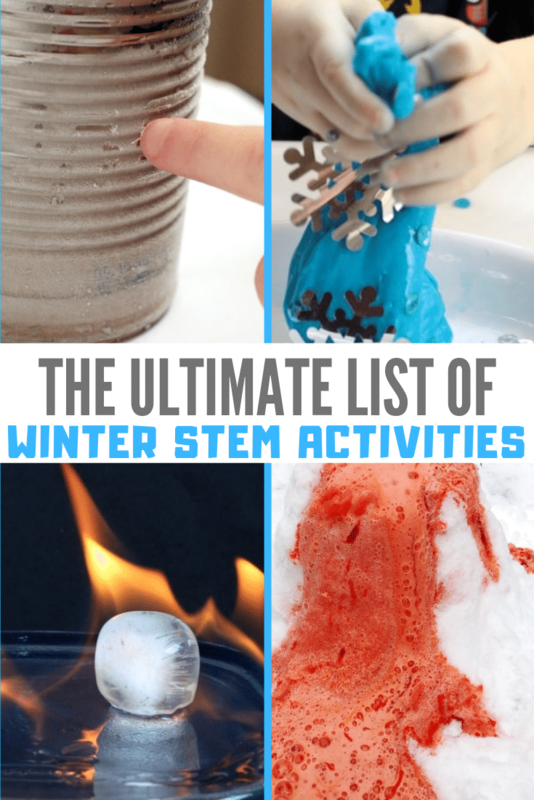 Kids will have a blast with these fun hands-on experiments with ice, snow, and other winter elements! 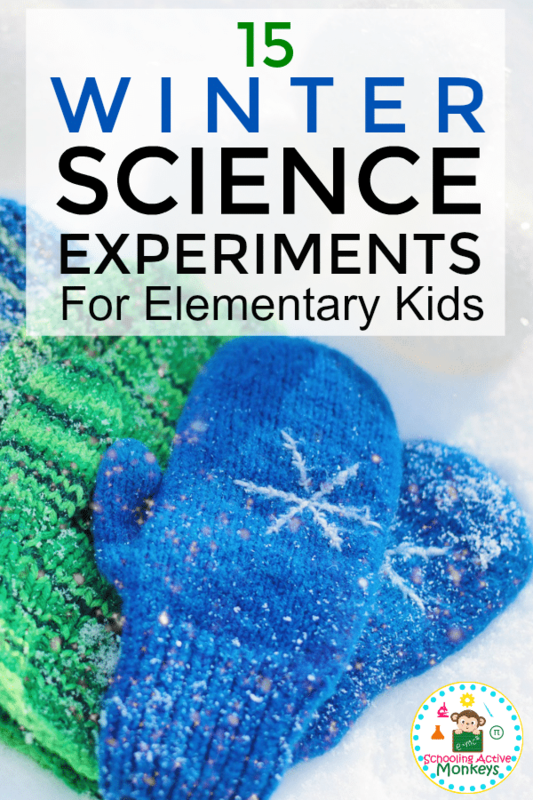 Try these super-cool science experiments at home or school when the temperature drops! 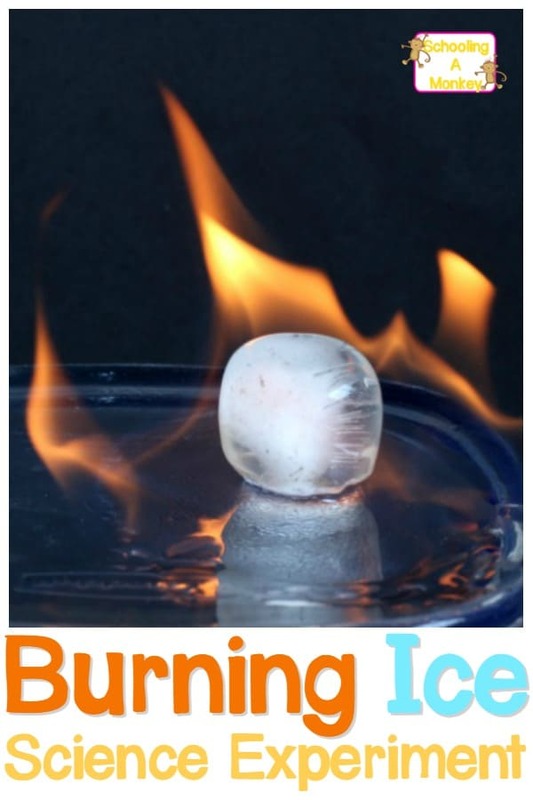 Ever wondered how to make a batch of hot ice? Here’s the fun recipe! Caution: Requires adult supervision and protective eyewear and gloves. 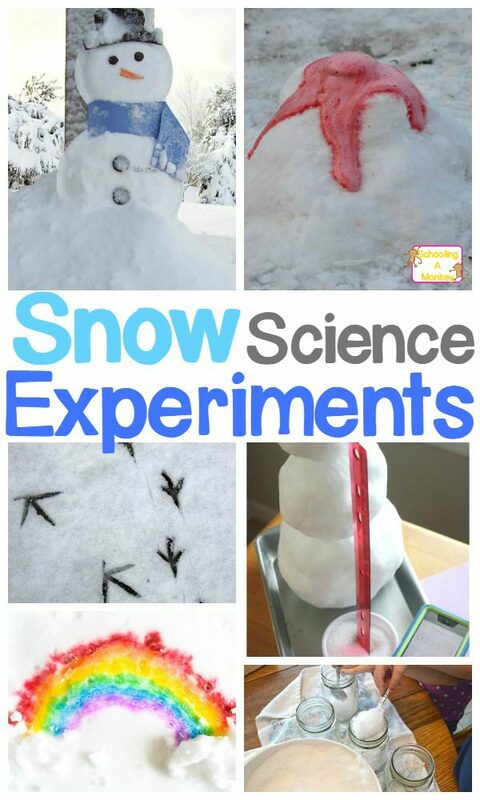 You don’t need to go outside to try this classic winter science experiment! Make your own frost in a can! Kids will love making this winter-themed slime recipe. 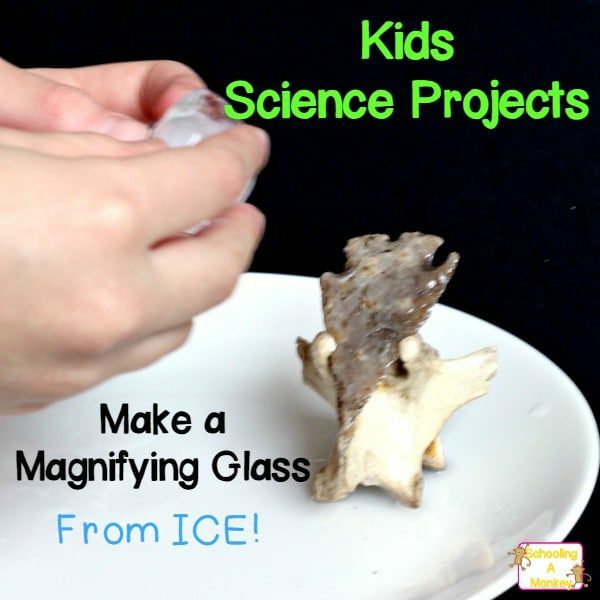 Transform an ordinary piece of ice into a magnifying glass with science! 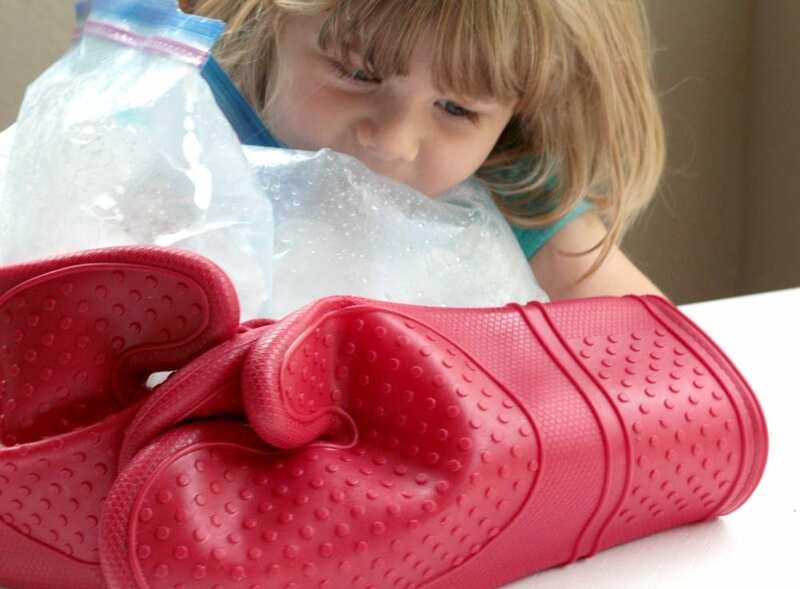 With a little practice and the right temperature, kids can learn how to create frozen bubbles. Make sure to have your camera handy to take a snap of the beautiful bubbles. Kids learn the science behind liquids, weights, and density. Using various weighted and sized items, dropping them into the liquid gives you the opportunity to talk to your kids about what makes some liquids denser than others, and what makes some objects denser than others. Using common household ingredients, kids can learn, hands-on, how arctic animals manage to stay warm in frigid temperatures. 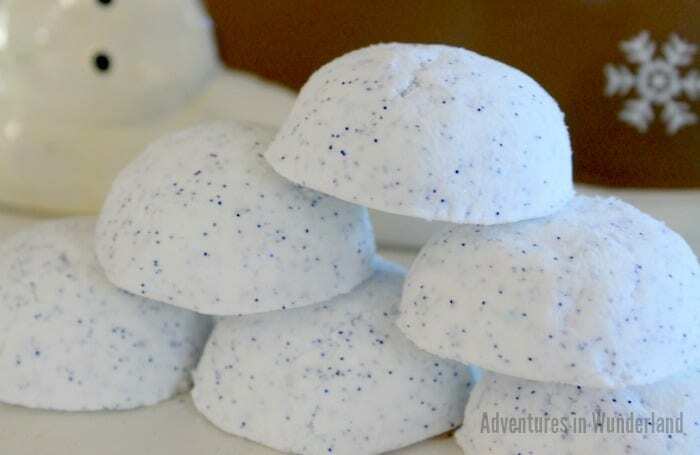 For a fun winter-themed science experiment, try this magic milk experiment and learn about the chemical reaction between the milk and soap as it makes a cool winter design. A very pretty experiment that can be used to teach polar liquid properties. Great art project, too, as kids learn how they can create differently themed sensory bottles. Here’s a tasty experiment where kids can learn how quickly marshmallows will melt in various hot cocoa temperatures. Variables such as marshmallow size are also included. Kids will learn that oobleck is called a non-Newtonian fluid – it’s neither a liquid or a solid. Make an oobleck snowflake with this fun experiment and tutorial. 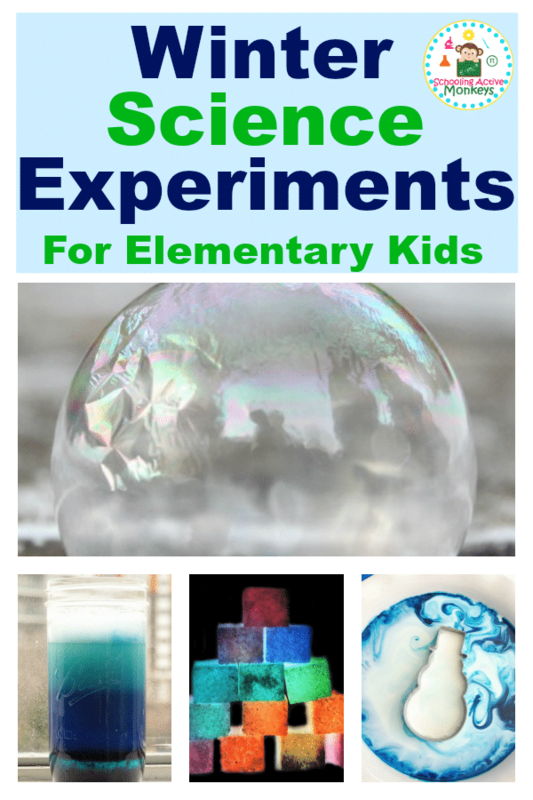 Fun and fizzy activity to learn about chemical reactions. Repeatable experiment that kids love to repeat. Watch crystals transform into an adorable snowman. Build him, dress him and then display him. Is it the mittens themselves that keep you warm or something else that happens once you put the mittens on? Explore the science behind human body temperature. Learn about the cycles and patterns of nature by observing and keeping a log of the seasonal changes in nature. Here’s a tasty way for kids to learn about exothermic reaction while making ice cream. Recipes for various flavors included. Learn the science behind instantly freezing water when you sharply knock a bottle of supercooled liquid water on the table. Kids learn to make predictions and form a hypothesis from this fun experiment involving table ice hockey.